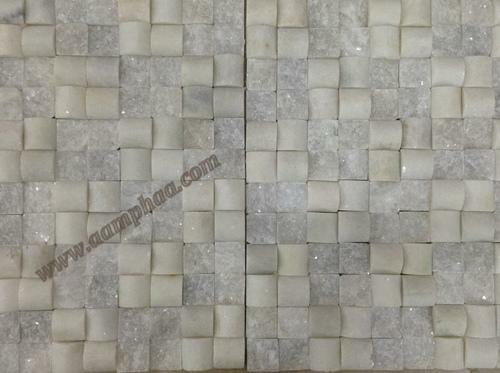 Aamphaa Showroom is among the most important and prominent industries, engaged in presenting an exclusive range of Natural Rock Stone Tile. Our offered product is perfectly designed by our trained craftsmen by utilizing excellent quality of material & tools. This product is checked before delivering to customers in order to ensure its flawless dispatch. Offered product is well known for its attractive designs & finishing. Since the initiation in 2009, Aamphaa Projects, have been one of the reputed traders and suppliers of Tiles, Mirrors and Sanitary Fittings. The company offers a wide range of products including Toilet Sanitariware, Coloured Wall Tiles and Mirrors with greatest quality standards and durable life. The products perform consistently and have great amount of dependability because of the optimum quality raw material and advanced technically machines. The tiles have been uniquely designed for instant installation and no specific maintenance in distinct patterns, colours and designs to suit all varied associates. The company has remarkable performance in the industry because of the gorgeous and sleek designs in different colours with the salient feature of high function life. The company has gained immediate identification in the market because of the brilliant products available at highly competitive prices in genuine and affordable rates.